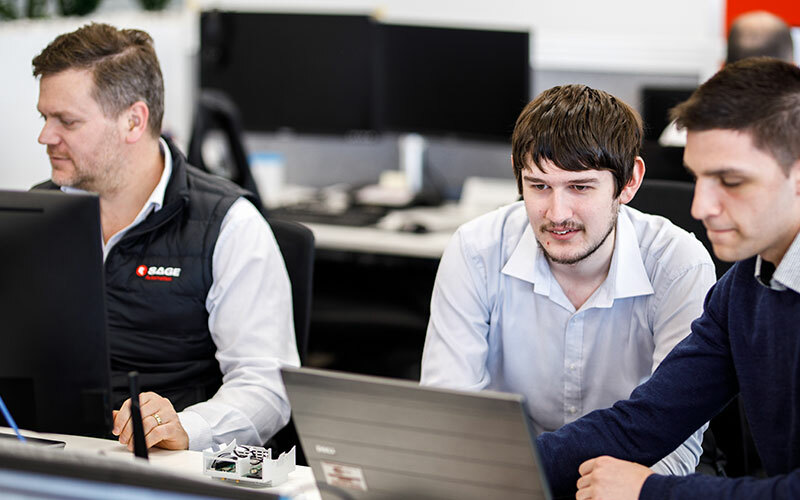 SAGE’s National Transport Manager Damian Hewitt said he was delighted to play role in kick-starting their career in engineering and give them ongoing casual work after their 20-week work placements. 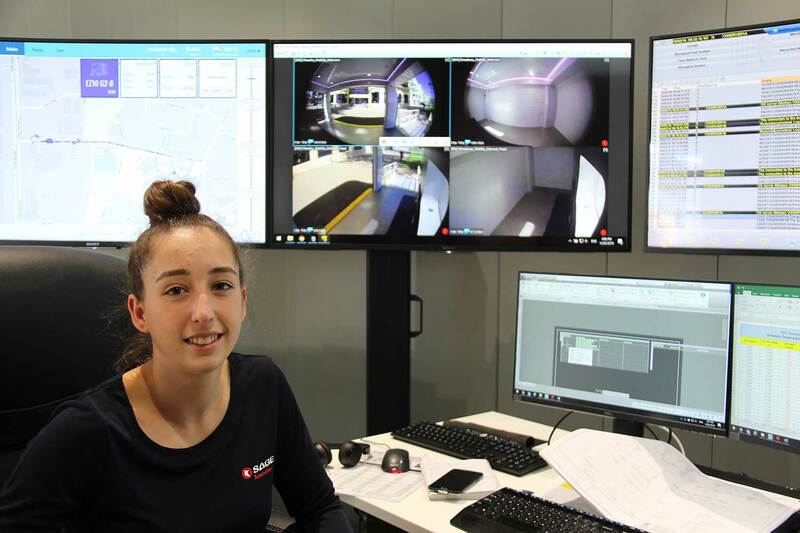 “These students have definitely made their mark on major project such as Matilda Smart Transit Hub, smart lighting, Adelaide Airport’s taxi rank system, and the Addinsight traffic management system,” he said. 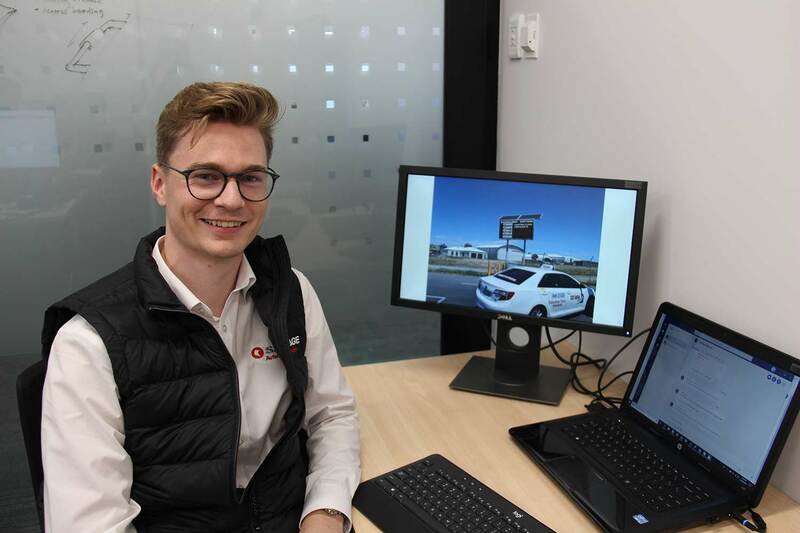 “I’ve never come into any experience before where people had confidence in me to build this from scratch,’’ said Flinders University robotics and electronics engineering student Bryce Beaumont who worked on the Adelaide Airport taxi rank system. Fellow robotics and electronics student Daina Ross said she was amazed her software work on a voice assistant for passengers using Matilda, was now in action. “It’s really cool to see a random person go up to the screen, watched by the monitor we have, and see it respond to them. I was shocked it actually gave them an answer,’’ she said. The only University of Adelaide student, Henry Claydon-Rose, an electrical and electronic engineering student said the “soft skills” he learnt while on placement were invaluable. Most hope to continue their careers with SAGE once study is complete and all say the experience has been invaluable. Your role: I did a lot of the software. I built up the user interface that staff were using to hail taxis. Challenges: Coming into an individual role and coming into it from scratch. I’ve never come into any experience before where people had confidence in me to build this from scratch. Thing you’re most proud of: I was really surprised at myself for completing the project. Starting into it, I didn’t feel like I had the knowledge. I had done a lot of robotics-based projects so coming into a system without sensors but a lot of data was different. I learned how to do it very quickly. It’s currently being used at the airport and I came into the project when it was just getting started, so it feels like my little child. What’s your experience been like: What I’ve been doing with SAGE is pretty damn good. This was my first work outside of university where I’d been a demonstrator since third year. It doesn’t feel like it’s real. It all happened so fast. Project in a nutshell: Matilda is a portable, connected transit hub that is equipped with the latest smart technologies that connect people with autonomous shuttle transportation. Matilda is a key part of a world first trial of an autonomous shuttle and smart transit hub solution at Glenelg. Your role: I was given the voice assistance feature on Matilda. You speak at the screen and it interprets what you said and gives you the answer. There’s also a sign language reading feature done by another person which is pretty cool. Any challenges: The voice assistant project was all on me, although I was part of a massive team working on the project and liaised with others working on the screen layout. The project wasn’t really like anything I’d done at university. It was more software based, but I love software. I was excited to be given the project, but had no idea how to get started. What are you most proud of: The voice assistant is now on trial at two stops, near Broadway Kiosk and the Stamford Grand Hotel in Glenelg. It’s really cool to see a people go up to the screen, watched by the monitor we have, and see the system I built respond to them. I was shocked it actually gave them an answer. Experience: It’s amazing and exciting to see something I’ve worked on actually being used by people. SAGE has offered me a casual position until I finish my studies which is still 18 months away. I’d love to keep working with them as long as I can. Project in a nutshell: Cyclist analytics is a highly desired solution by cities to track the movement of cyclists and help improve the cycling and road user experience. We developed a highly cost effective and accurate solution to monitor cyclists with the help of Addinsight technology. 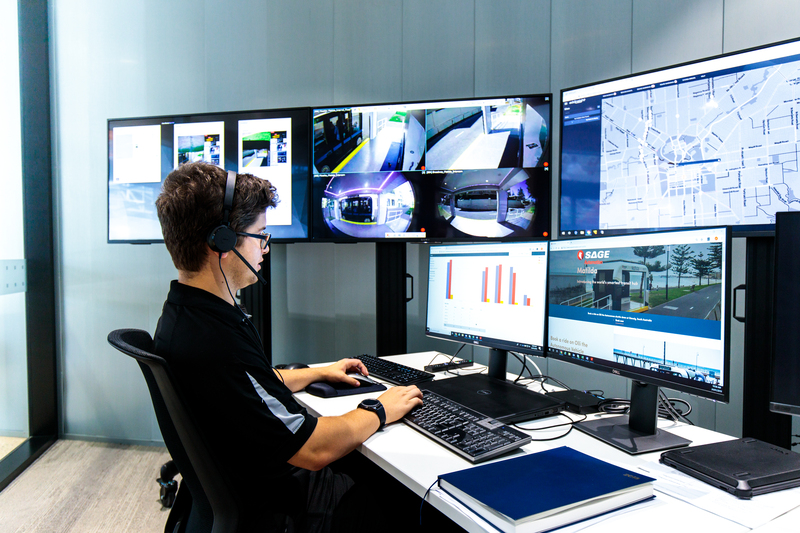 Your role: I worked to develop a fully functioning software solution that used the system of the AddInsight Unit to analyse the video feed of a connected camera and monitor the movements of cyclists. I worked largely independently, with support from SAGE Senior Engineer Kyran McGlassen when required. Challenges: As my knowledge was largely focused in electrical, I had to develop understanding of both OPENCV software and multiple programming languages. This was a huge learning curve, but the experience and knowledge I now have will assist me in my future years of engineering. What are you proud of: The program I developed is a complete solution which has been verified to be highly accurate and reliable at detecting cyclists. I now have a large knowledge in this area and have developed new and existing skills from this experience. Experience: I’m employed as a casual at SAGE now and am hoping to continue at SAGE while I finish my degree. This placement has been a hugely rewarding experience. 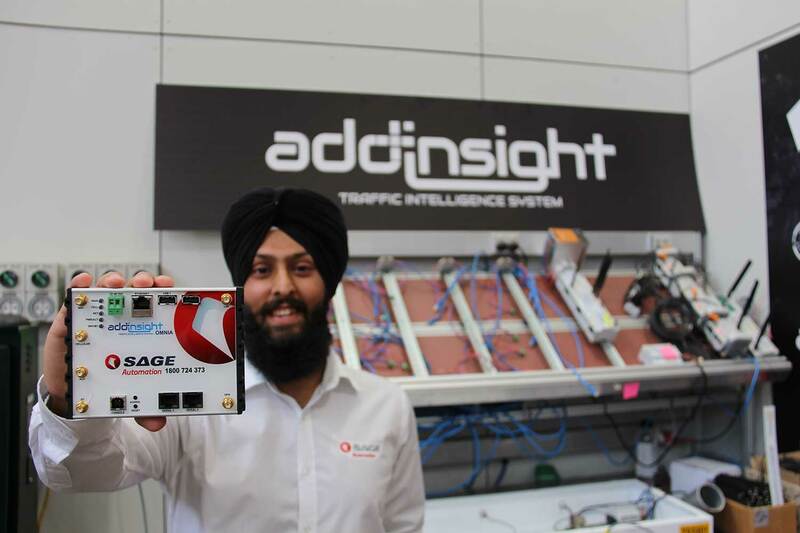 I worked on four projects during my time at SAGE but the main one was Pedestrian Detection using the Addinsight Omnia. Project in a nutshell: The Addinsight Omnia device is a versatile portable computer which can be used for virtually any purpose. It’s a really great initiative by SAGE. This one has been used with traffic management, but has lots of applications. Your role: As part of my university work placement project I was tasked with developing dashboards to present pedestrian detection data. Challenges: The project started out seemingly simple, but as time went on, the work involved kept changing. 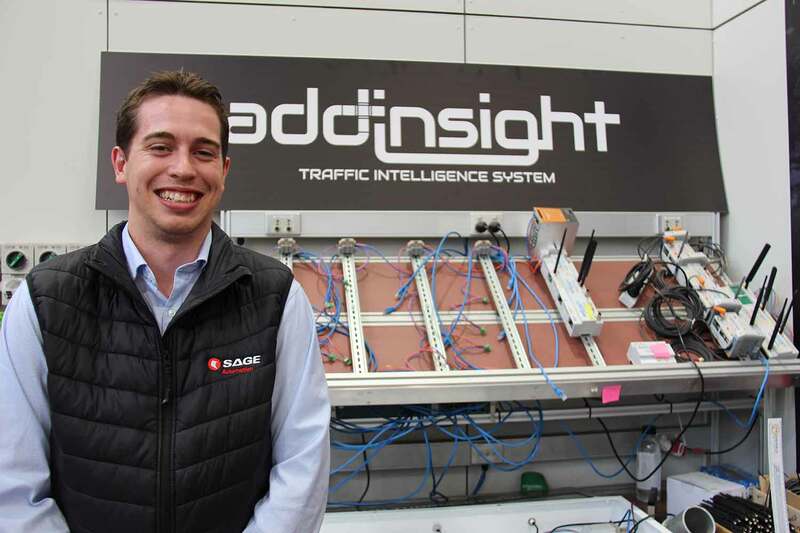 What are you proud of: My work on these dashboards has been very promising and proven that SAGE may be able to use the Addinsight platform for pedestrian detection. Experience: My time at SAGE has been amazing. It’s probably one of the best times I’ve had in my entire life. I’m working at SAGE on a casual basis and really hope that they employ me full-time when I graduate. It can be stressful, but when it’s not stressful it can be very rewarding. Your role: I came into it early to do research and development. It was my role to piece together the user experience including documentation, understanding the capability of the technology and how that will interact with passengers. I have an eye problem which prevents me from driving, so I rely heavily on public transport and understand how people commute using these services. Challenges: The biggest challenge was in developing my soft skills like understanding the workplace, managing time and how to work with other engineers and research independently and smarter. I applied these to my studies and found I did astronomically better. I already had the technical skills, but these soft skills are learnt on the job and are vital to master. For example, using your time efficiently; eight hours goes very quickly! What are you proud of: I’m now managing a few of the on-board operators of the Olli vehicle (autonomous vehicle in the trial). It is my responsibility to manage about seven employees. Experience: I graduate in the middle of the year and I want to work with SAGE because I’m interested in improving public transport and autonomous vehicles. That’s the reason I came to SAGE in the first place. Project in a nutshell: A new system of smart street lighting which detects movement of traffic and pedestrians and lights up the area accordingly, reducing lighting electricity needs and carbon emissions. Your role: I was responsible for concept, design and functionality for the project which was successfully carried out to the design stage. Challenges: Unfortunately the project was delayed, but it is being used in other smart city tenders for SAGE. What are you proud of: The design itself is valid in terms of its engineering purposes and dealing with the complexity of current lighting infrastructure. I’m also working on a maintenance project to do with the O-bahn and Heysen tunnels which has developed my skills across project management. I think it will be a really helpful skill to have. Experience: In addition to this project, I’ve been able to contribute to a number of other projects including Matilda for which I designed the side ramps and rails. I’m now working casually for SAGE. In a world driven by technological advancement and change across every facet of society, the way we train and develop tomorrows’ workforce also needs to change, with real-world problem solving and soft skills taking a front seat against a backdrop of technological skills. According to Angela Di Fabio of the New Venture Institute SAGE is setting a perfect example of integrating graduate students into the workforce. “It speaks to a new way of how we should be educating on a tertiary level. It closes the gap between talent and industry and visa versa. It creates a bit of a spark in the students – so they are industry ready and industry hungry,” she says. 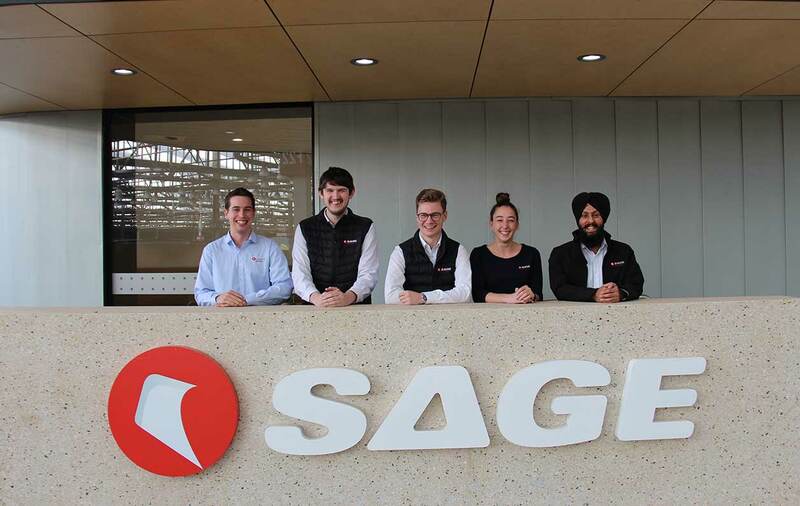 SAGE took on 22 university work experience students and hired six trade assistants in 2018. “SAGE graduates are given some amazing opportunities to get involved in real-life projects” said SAGE Group CEO Adrian Fahey. “For example, our grads had huge involvement in bringing Matilda to life to participate in a world first trial of integrated driverless technology, which is something they should be really proud of,” he said.